WOOD PLANTER. Vintage inspired wood planter. Decorative metal flower plate insert. Fresh green finish. 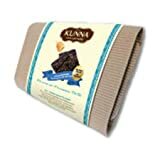 Kunna Thai Premium-grade Healthy Snack Black Sesame Bar with Forest Honey 100g. Black sesame bar special selection with forest honey 100 gram. No sugar or oil added. Keep up with the trends for winter with these ultra stylish boots! Featuring a round to front, knee high rise, buckle details, studded details along hind zipper, contrast colored zipper, stacked heel, and faux fur lining.